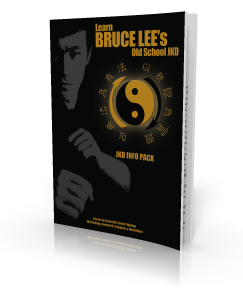 To anyone who’s studied Bruce Lee’s personal life, we know he would spend much of his time in isolation studying various martial arts and Eastern philosophy, always in the constant pursuit of perfection when it came to his own martial art. In that solitude, he came to the now iconic conclusion that “there was no opponent”… But how? When a man is standing infront of you with killer intent, and you feel the same, why doesn’t Bruce or Conor feel or perceive this man as an opponent? Because everything that led up to that person was a result of your unique perception. The opponent was just a tool for you to grow through, to learn about yourself, to satisfy a portion of your own perception, whether it be climbing a mountain, lifting a dumbbell, or fighting another warrior, in the end, you were attempting to prove something to yourself. And so in the end, it all stems from your heart, your mind, your soul. When the perception of your desires become firm, you move to that calling, and without it, you have no reason to. You would never climb the mountain, lift the weight, or step into the cage with a warrior, and if we take this to an extreme, a perception without any sense of purpose would have all of its meaning to stay alive cease… That feeling is what makes you feel alive, but it all stems from you, and all the people you meet on your journey, the tools you use become binary, a black and white, yin and yang, if you are working towards fullfilling that perception, that purpose, or failing to. Every present moment has little battles that tell you whether or not you won against your mind, or lost. When you forget to show up to the gym because you watched another episode of ‘Lost’. You felt it, a part of you felt like ‘you lost’. When you spent an extra 30 minutes working on your craft even when you were tired, even when no one was watching, you felt that little victory in your heart, and despite no real validation, you were proud of yourself. That is the battle with oneself. It’s not about overcoming the person in front of you, but proving to your perception, proving to yourself that you’ve come just a little bit closer to who you wanted to be. To justify why you should feel like you deserve this. Why you should feel like you are who you say you are. That all the little battles you’ve endured, you’ve worked through added up and meant something, and the antagonist, the warrior before you is a test to that perception. This was all about you, not getting caught up in distractions, keeping your mind calm by not caving under pressure, showing up and eating right, making connections with good people who uplift and inspire you, learning something new about your craft, everything is a micro battle between yin and yang, good and bad, and in truth, without your perception, sense of purpose, none of it would exist. You are fighting with yourself each and every moment, and every person, every challenge you encounter is a reflection of you, a reflection of your weaknesses and strengths, through which you are givin an opportunity to grow, a hint towards which you may come just an inch closer to you fullfilling the purpose you’ve constructed in your perception. It all starts in the mind, and to all of lifes endevours, the present moment has opportunities through which you either come either closer or move further from the self you wish to be. So, who do you want to be, and will you win your next battle?